Touch Art Gallery in collaboration with Swissnex Boston as an institutional sponsor are pleased to announce a solo exhibition of recent works by the Iranian-born Swiss artist "Artemis Akchoti Shahbazi". "A contemporary interpretation of Ferdowsi's A King's Book of Kings". 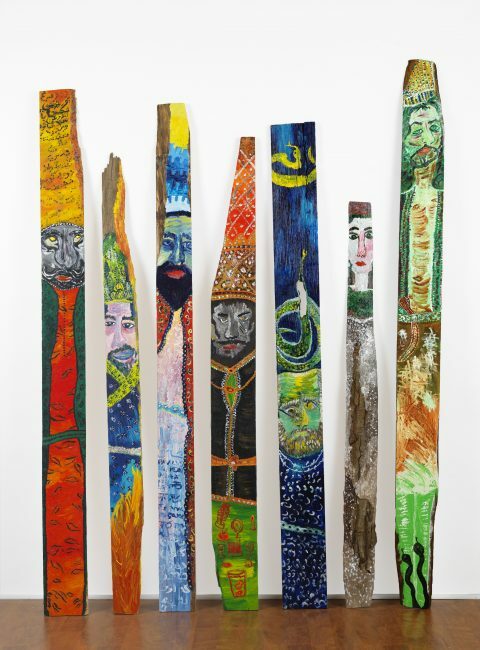 Along with select narratives paintings, the exhibition juxtaposes portraits of Ferdowsi's mythic kings and queens with those from the Qajar and Pahlavi dynasties.Reception is on Friday May 2nd from 5-8 PM. The exhibition is open to the public from April 29th to May 18th. Please join us to see the exhibition and meet the artist. Artemis Akchoti Shahbazi is an Iranian-born Swiss artist, residing in the United States. She is a graduate of the University of Geneva and of Boston University who investigates cultures through portraiture. Her work is in important private collections in the USA and in Europe.